The aim of this 2 part workshop (2 x 3.5 hours) is to help parents develop an understanding on how to use yoga as a daily ‘sensory diet’ for their child, to bond more deeply, to develop strength and create a feeling of internal control and calm, strength and balance. On day 1 we will have an introduction to yoga, practice together, learn to understand the basic poses and their benefits, and how to set the scene at home with essential oils. Day 2 will start with a recap and Q&A, another practice, introduction to mindfulness, the role of pranayama (breathing), and introduce yoga games. You will get the chance to witness a class in action and we will practice everything we learned together. At the end of morning 2 you will feel confident to choose and practice a sequence with your child at home while keeping them safe, choose an essential oil for a specific emotion or situation and create a daily routine that will benefit the entire family. This is a two part workshop, and session 2 builds upon session 1. The price includes both workshops on the mornings of Saturdays 11th of May AND 8th of June, all equipment, booking fees, training manual, sequences and sample essential oils – your booking will cover both events. Early Bird Tickets are available until April 4th. 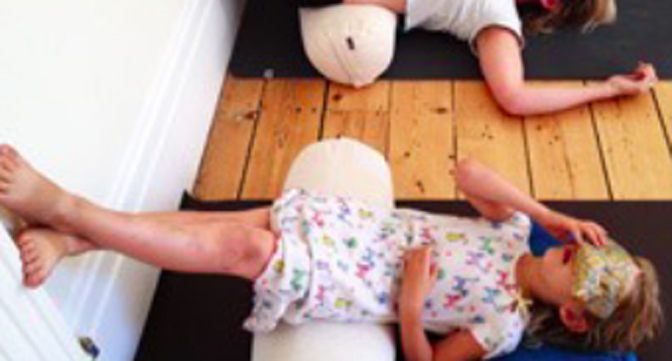 This course is not meant to replace yoga teacher training and will not enable you to start teaching yoga to children. It is created specifically for parents and carers of children on the spectrum, and a basic understanding of these conditions is a pre-requisite. This is a workshop, and not a class – please do not bring your children. Suitable for complete yoga beginners.